The home of the best beers in the world. 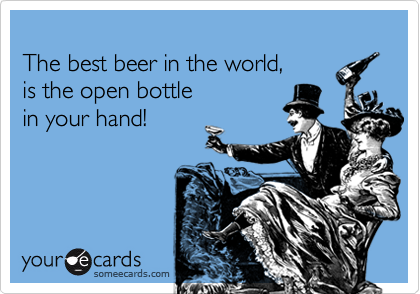 Welcome to Best Beer HQ – the online headquarters for the discerning beer drinker. On this beer blog you’ll find news and reviews about the best beers in the world, as well as useful guides about how to brew beer, cook with it, drink it and, well, just about anything else relating to beer that you can possibly think of. Why make a website dedicated to beer? Because beer is so much more than a breakfast drink – it’s a way of life. Bier, cervesa, pivo, bia, brewskie… whatever you call it, beer crosses boundaries and brings the world together. Beer is the great social lubricator and drinking it is a privilege, a pleasure, a gift. Now, let’s raise a glass to the amber nectar – God’s greatest gift to mankind. Cheers!